The 1997 Honda CB500 Newcomers Cup saw Dan finish in a fine second overall, taking four podiums across the ten races and finish all of the rounds bar one, the consistency that has served him so well in his career already evident. 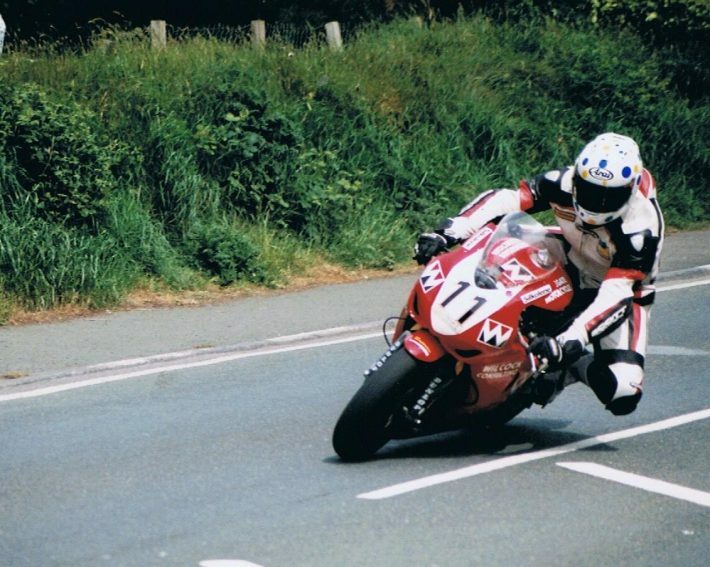 After further establishing himself on the short circuits, Dan made his first foray onto the roads in 2000, contesting the Manx Grand Prix as a newcomer. It proved to be a more than successful debut as he finished in an excellent second place to Seamus Green in the Senior Newcomers race, backing this up with ninth in the feature Senior race. The Foot and Mouth epidemic meant Dan’s proposed move to the Isle of Man TT races had to wait another year but he made a strong impression in 2002, finishing inside the top twenty in four of his five races (he was 21st in the other). He won five bronze replicas, taking a best finish of 15th, in both the Junior and Senior races, and lapped at more than 118mph. After his maiden TT appearance in 2002, it would be four years before Dan would return to the Isle of Man and he instead concentrated his efforts on the British Superstock Cup, finishing sixth overall in 2004 with a podium taken at Croft behind race winner and eventual champion Peter Hickman. He then moved into the main British Superstock Championship where he remained for the next ten years becoming a regular points scorer. However, it’s on the roads, and particularly the TT, where he’s had his finest moments and he was back on the Mountain Course in 2006 where, despite a four year lay-off, he was immediately back in the top twenty, his best result being a brilliant eighth in the Junior 600cc race. He also recorded his first 120mph+ laps of the Mountain Course. Over the next decade, Dan established himself as, arguably, the best privateer at the TT and he was the picture of consistency throughout, always finishing inside the top twenty and, more often than not, inside the top ten. Three top ten finishes were taken in 2008, a feat he equalled in 2009 when he took a career-best sixth place in the Senior race. He matched this result in the same race in 2010 and again in the 2011 Superbike encounter and it was only apt that he won the 2012 TT Privateer’s Trophy after yet another series of high class results. Two more top ten finishes were taken in 2013, when he recorded his best ever lap of the 37.73-mile course at 129.077mph, whilst 2014 saw him finish all five of his races inside the top 16, the best of which was ninth in the second Supersport race. This has proven to be Dan’s last top ten finish at the TT as reliability issues and injury have plagued him in the last three years; indeed, he had to pull out of the 2016 meeting as a knee injury proved too troublesome to compete. However, he took a brace of 16ths at TT2017 and was lapping above 125mph once more as he sought to get back to his best. A top 15 finisher on his debut at the North West 200 in 2007, Dan has concentrated his road racing efforts on the TT, but he has also impressed at the Ulster Grand Prix where he lapped at close to 127mph on his debut in 2010. Top 15 results followed in both 2012 and 2013, the best of which was 11th in the Supersport race of 2013.